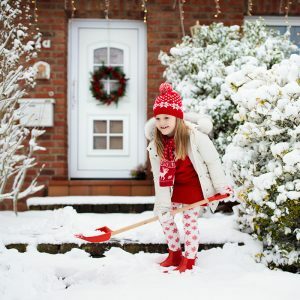 Eastern Pennsylvania and Northern Delaware customers can use these suggestions to secure their homes during the winter months. Get better home safety and more security through the season by being a customer of Ferro Fuel Oil. Shovel a Path: Clearing your driveway and a path to your oil fill pipe or propane tank allows our delivery drivers safe passage to your fuel storage. This gives you a faster and smoother delivery with less hassle. Sign Up for Automatic Delivery: By allowing Ferro Fuel Oil to manage your heating oil orders, you avoid the risk of a runout or emergency service call. Although we offer 24/7 emergency service, treat yourself to peace of mind this holiday season by keeping your tank full and ready. Upgrade to High Efficiency: If your heating system is old enough to drive, it’s also old enough to break down, leaving you in the cold. Do your family and your home a favor and request an installation today. As a bonus, you’ll likely increase your home’s efficiency, saving you money on fuel for years to come. Plan Payments with Our Budget Plans: The holidays can be stressful, but we’re here to make things easier. Secure your finances with our budget plans, which allow you to slowly pay your fuel bill over the entire year. This cuts payments, making them more predictable and affordable. We appreciate you choosing Ferro Fuel Oil as your HVAC provider, and would like to assist you in any way you need. Please contact us with questions or to request service, and always remember that we offer 24/7 emergency service. Have a safe and happy holiday season!